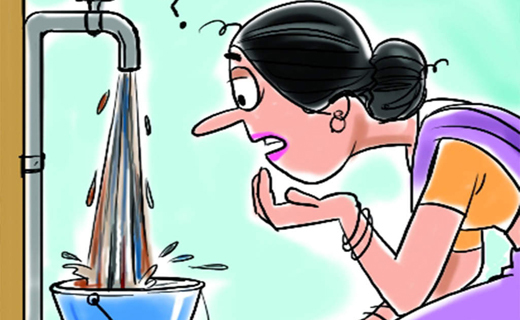 Mangaluru, Apr 12, 2019: Mangaluru City Corporation (MCC) will begin water rationing from April 12, Friday, in order to tide over a really hot and harsh summer. The press release stated that the MCC was forced to implement water rationing as there was no inflow to the water sources in February this year. The level of water impounded at Thumbe vented day on April 10, Wednesday stood at a precarious 5.80 metres. The situation would return to normalcy if there are rains in the catchment areas. Even though some signs of summer showers were seen in last couple of days, no real rain has resulted. The MCC has appealed public not to waste the treated water on cleaning vehicles or watering their plants.